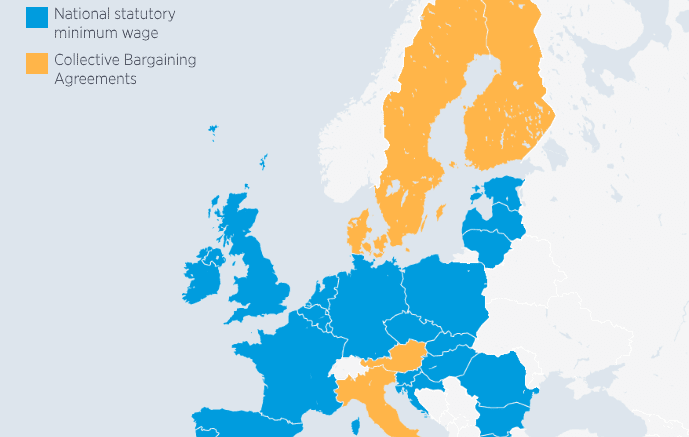 Following the Brexit referendum last year, when social media was groaning with opinions from those on both sides of the argument, an acquaintance of mine posted an innocent-sounding question on Facebook: why doesn’t the EU have a single, unified minimum wage? As most people attributed the referendum result to concerns over unchecked immigration to the UK from other parts of the EU, he thought this would solve many of the problems perceived to be caused by freedom of movement. In other words, anyone working for less than the minimum wage is doing so illegally. Having the EU set the minimum wage instead of national governments won’t solve the problem of unscrupulous employers ignoring their legal obligations, unfortunately.